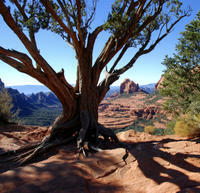 Find Tours, sightseeing tours, activities & things to do in Sedona. Find discounted tickets, events, and many more. Explore the Southwest in a spacious luxury van for 11-hour as you visit five National Monuments in Arizona. Your guide will take you to Montezuma Castle, Montezuma Well, Tuzigoot, Wupatki, and Sunset Crater National Monuments where you will learn the ways of the Anazasi. Your private tour (of up to 7) includes lunch at the historic Cameron Trading Post Restaurant and all entrance fees. Discover the untouched beauty of America's southwest! 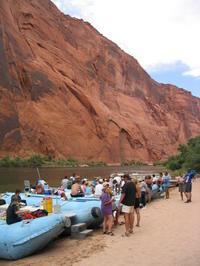 On this 2.5-hour tour, you will learn about the history and geology of this amazing area. You can shop for Native American jewelry and crafts, discover Sedona's unique vortex sites and get some tips on the best shopping and dining in town! Take a step back in time to the wonderful world of cowboys! Travel through the beautiful canyons of Sedona to an old log cabin, where you will discover its colorful history and hear tales of murder and moonshine! Experience Sedona's breathtaking desert landscape on this Jeep tour to several scenic overlooks including Airport Mesa, the Chapel of the Holy Cross and Cathedral Rock, one of the most-photographed sites in Arizona. Admire endless views of impressive red rock formations as your expert guide offers informative commentary about the region's history. Because this is an on-road adventure, it's perfect for families and those looking for a fun time without the turbulent ride typical of off-roading tours. From Sedona, take a 1.5-hour aerial tour to Grand Canyon National Park. Fly along the South Rim to Oak Creek and past the San Francisco Peaks to the Little Colorado River. Admire the beautiful pastel colors of the Painted Desert and take in unbeatable panoramic views of the majestic Grand Canyon. On this 25-minute helicopter tour from Sedona, see the region's mountain highlights and ancient attractions. Fly over the Red Rock-Secret Mountain Wilderness to see where locals play in the great outdoors, and admire the stunning beauty of natural attractions like Secret Canyon. Then see the ancient cliff dwellings of the Sinaguan people, who lived in the area between 500 AD and 1425 AD.